for $900,000 with 1 bedroom and 1 full bath. This condo was built in 2007. PRICED TO SELL! 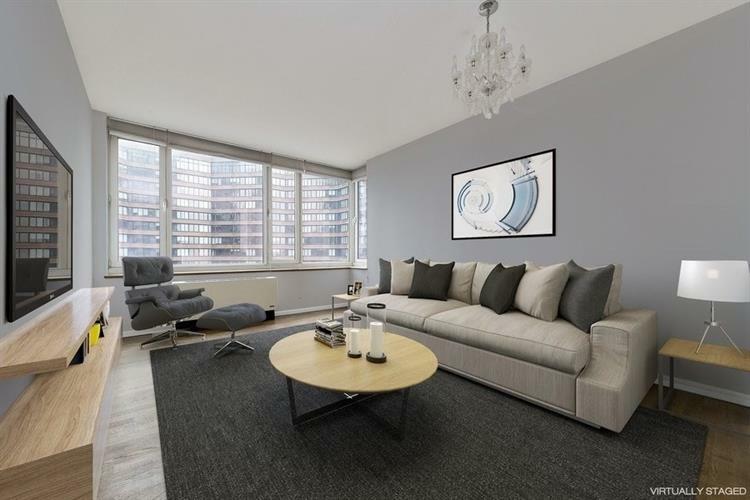 Enjoy plenty of light and diverse, south & west facing views from residence 20M at the Atelier, ideally located on a residential block in Midtown West. This high floor, true one bedroom boasts river and city views, double exposures, washer/dryer, oak hardwood floors, a spacious floor plan, and a luxurious gourmet kitchen with high-end Sub-Zero and Bosch appliances.The Atelier is a full-service condominium with a dedicated staff. Amenities include: 24/7 doorman, fitness center, tennis and basketball courts, rooftop sky deck, and grill terrace. Located on the waterfront, The Atelier has convenient transport to Midtown vis crosstown shuttle. Hudson River Park, Hudson Yards, High Line Park, and Gotham Market include some of the nearby attractions.